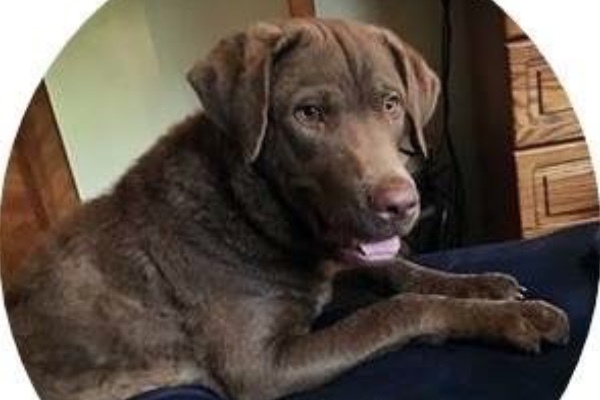 My dog chessie was struck and severely injured by a drunk driver on December 13th 2015.He was struck in my driveway and the driver was on the wrong side of the road on Eagleville Rd in Orange Ma.Luckily the police were just happening to be coming up the road at the same time and witnessed the incident.The Police stopped the driver and noticed that the driver was heavily impaired !!!! The Police administered a field sobriety test on the driver and he failed miserably !! !.The Police then offered the drunk a breathalyzer test and he also failed that also! !!! The Police later told me that this individual is a repeat drunk driver and is being charged for his second offense! !!! To make matters worse his drunk girlfriend got out of the car and said "don't worry its only a dog and our dog got run over last month by him also" Naturally I was incensed and extremely upset !!! They did not know which direction he ran off to or how bad he was hurt ! !The orange police and fire department helped us look that night in the dark but to no avail! !! The following day we had an unbelievable outpouring of help from Neighbors and the community and searched for over 8 hours until dark !!!! Posters and businesses helped with fliers and he was the talk of the region! !!! We searched everywhere for days and nights and nothing! ! 43 days later a nice young man named Shawn Shaw spotted him on the ice and ran out on lake rohunta and rescued him !!!! What a miracle that he survived through all the cold days and nights! !!! He has extensive injuries to his right hip and has damage to the bone areas which he has already undergone some surgery.He needs further orthopedic surgery in Westford ma which may be extensive and extremely expensive! !!! If any of you kind people find it in your heart to help it would be greatly appreciated! !! Thankyou to all and god bless !!!! Please contact your insurance agent to see if you can go after this man's insurance company to cover this. Hope all goes well. Massachusetts requires liability insurance which does cover damage done by drivers, including damage to property(sadly our furry friends are considered property). Even if he is dead broke, and don't assume he is, his insurance company should be able to help. I see not much money has been raised. I could only give so little, but my prayers for him continue. I did share his story. How is his progress? My heart hurts for him. I live in Phillipston. If there is anything I could do to help, please let me know. I am disabled and on SSDI. I used to work as an RN. Dogs, well I love them more than people. I love all animals. Dogs are the best. Please let me know he is getting better. Can you work out something with the vet. Tufts is good like that. I love Gardner Animal Care Center too. Dr. Mike McTighe has a big heart. I am praying for your dog every day. I hope you go after the SIB that hit the dog. You know who he is and you know he ran over his own dig.. ( sorry his wifes dog) to prove a point to her... And she keeps getting resues that he continues to threaten to kill... I hope you put him in his place for the sack of your pup if for no other reason..... He should pay!!!! Good luck to you and your pup..
May our Lord Jesus bless Chessie's healing and your family. I am praying for your return to good health Chessie! If I was a wealthy person I would pay it all. I am not though. I can give just a little, but I am praying for you a lot! You get better now. A dog lover in Phillipston.